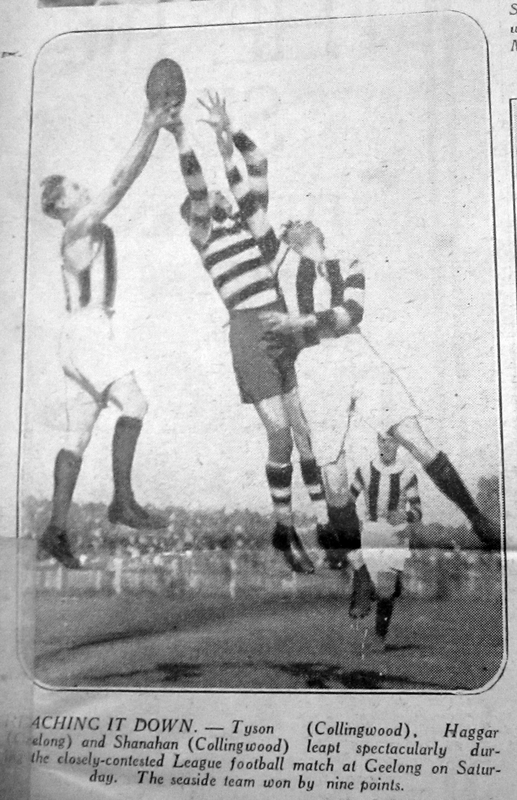 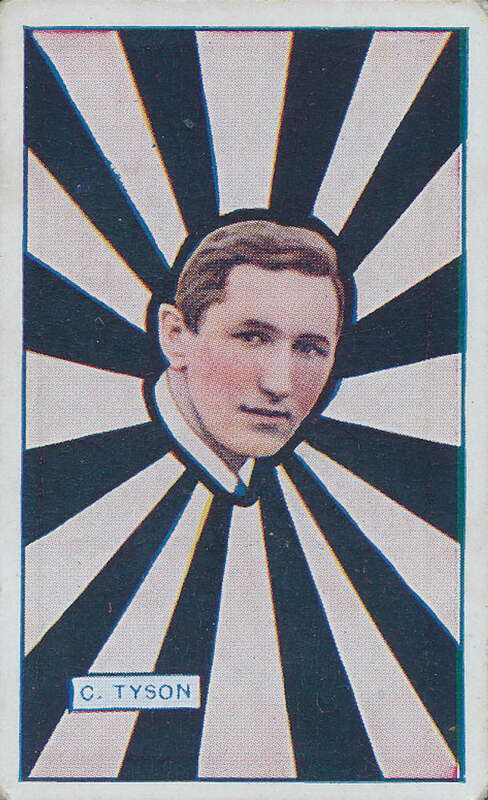 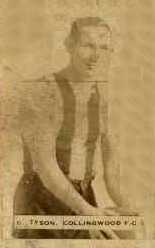 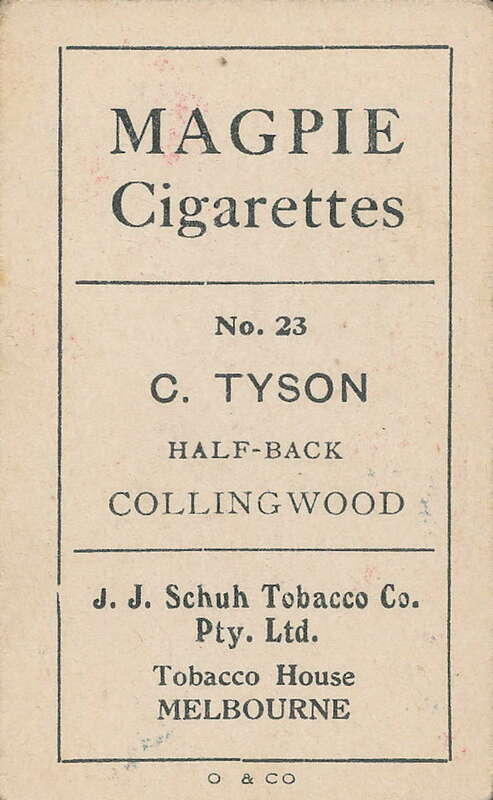 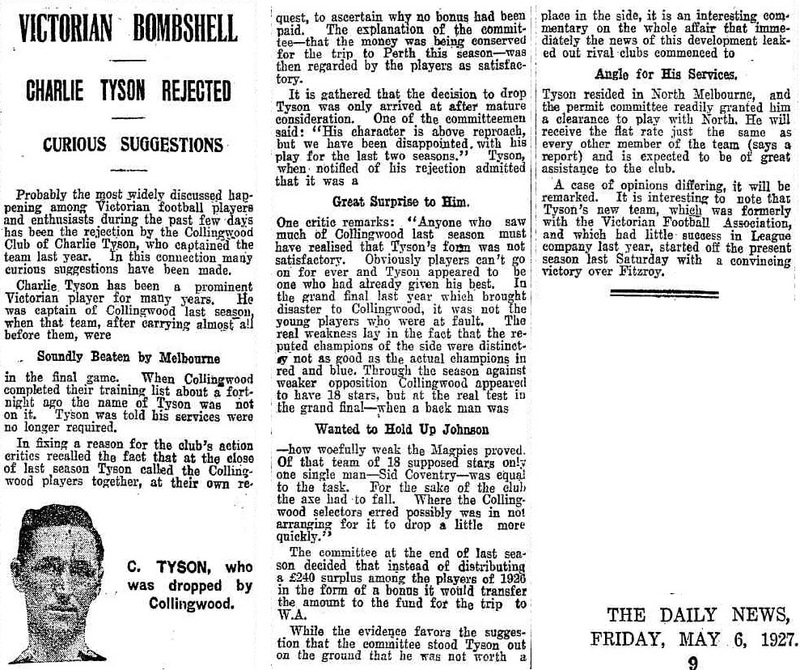 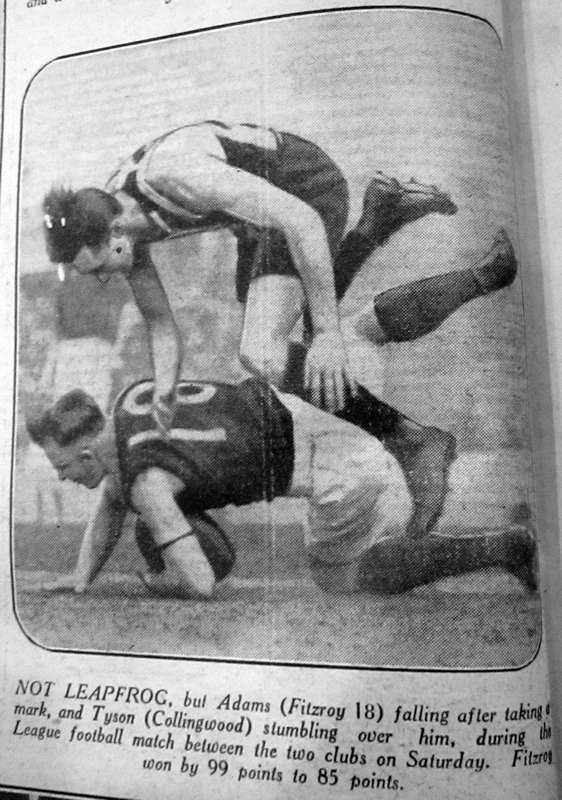 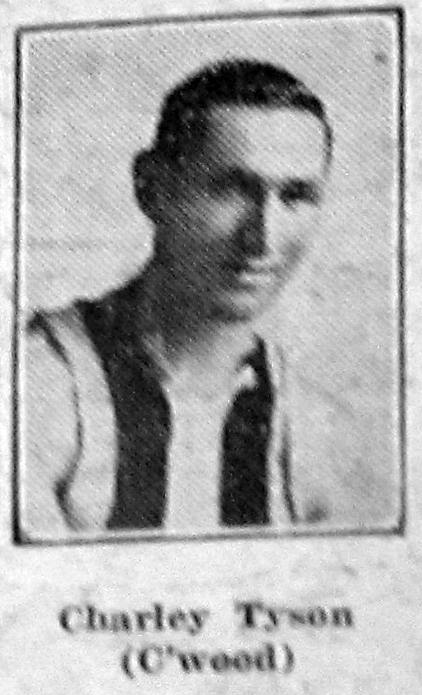 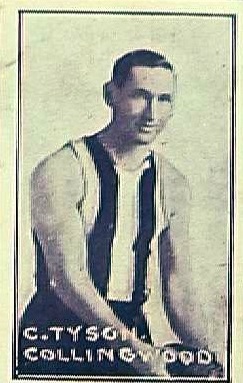 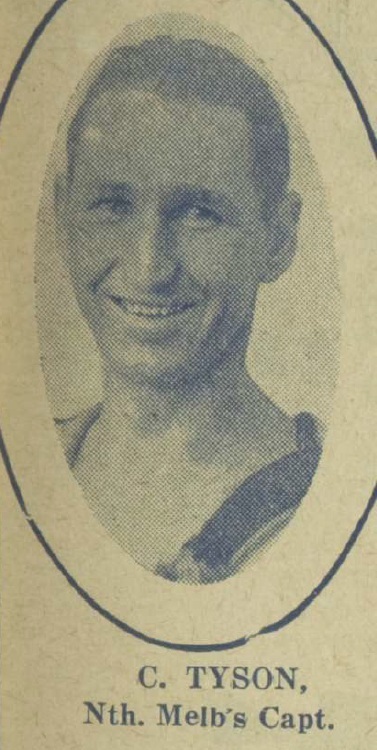 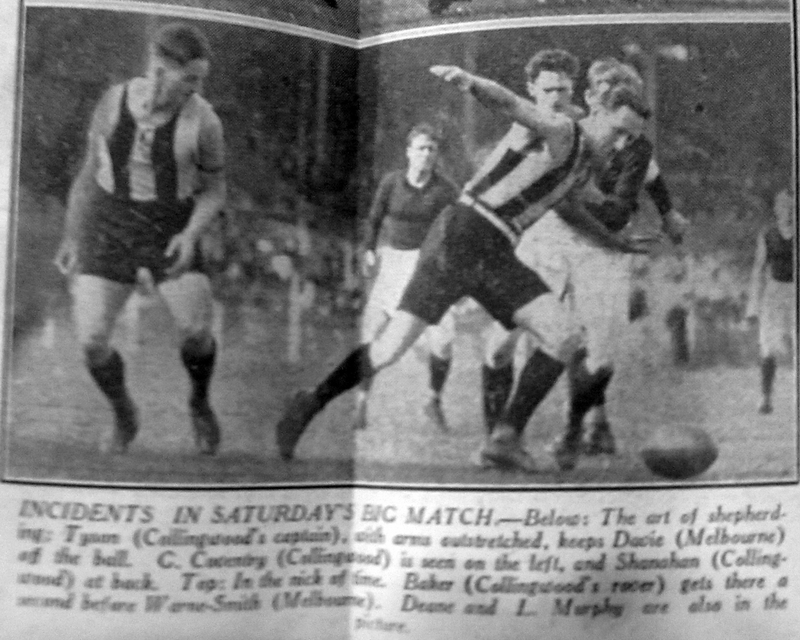 Tyson was controversially not reappointed as Collingwood Captain in 1927 after leading the club too the previous two Grand Finals. 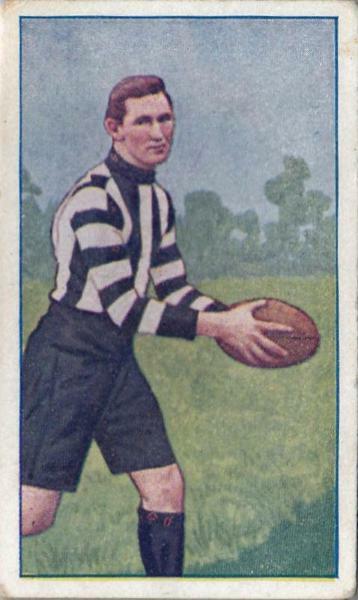 With Tyson gone, Collingwood would win the next four Grand Finals. 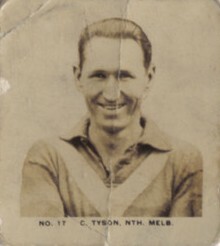 Wikipedia - Charlie Tyson - Family links in W.A.